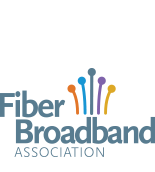 The Certified Fiber to the Home Professional (CFHP) program is sponsored and operated by the Fiber Broadband Association. Certification as a CFHP indicates a professional level of technical competence in fiber to the home technologies. Certification consists of demonstrating knowledge and familiarity with FTTH architecture, network design, deployment technology and operational skills. Certification is not directed at specific vendor’s equipment, rather to certify professional competence on a broad base of FTTH topics. The program consists of two parts: CFHP Training Course and Exam/Certification. If you feel that you do not require training, the exam can be taken direct - scroll down to link to the exam-only purchase page. The CFHP Training Course is not required to take the exam, and is structured to certify competence in overall FTTH theory, terminology, topology, equipment and system cost estimation. CFHP Training Courses cover a broad range of FTTH knowledge that CFHP professionals must be familiar with. The first CFHP Training course has been developed by The Light Brigade with assistance from Fiber Broadband Association member companies and organizations. This preparatory training course is geared toward network designers, planners, supervisors, and project managers that will deploy and maintain FTTH networks. Students will gain a broad base of knowledge and familiarity with FTTH architectures, network design, deployment technology, and operational skills in order to prepare to take and pass the Fiber Broadband Association's Certified Fiber to the Home Professional (CFHP) certification exam. Special Benefit for Fiber Broadband Members - 15% off all Light Brigade courses! Mention you are a member when you register. The classroom format features 16 hours of training and direct, personal interaction with an experienced FTTH instructor. The online study program is comprised of 16 modules that allow the student to grasp key concepts at their own pace and to gauge their mastery through practice knowledge questions. Certification at the CFHP level indicates a professional level of technical competence in FTTH and Fiber-to-the-Building (FTTB) technology. It is not directed at specific vendor’s equipment, rather to certify professional competence on a broad base of FTTH topics. The certification fee is $150 for a 3-year period and can be purchased by clicking the link below. If you pass with a score of 80% or greater, you will receive a certificate via email good for three years stating that you are a Fiber Broadband Association CFHP Accredited Professional. You will also be listed on our website as a Certified Fiber to the Home Council Professional. If you do not pass, you have one free re-take using the same username and password. The re-take must be taken within two weeks after the first failed attempt. If you do not pass the free re-take, the last option is to purchase another re-take on our website for $50. Click here to access a list of those who successfully passed the examination and are certified as Fiber to the Home Professionals. This database is maintained by the Fiber Broadband Association, for confirmation for prospective employers and others.